Located in the heart of Times Square, New York City, B.B.Kings Blues Club and Grill offers a unique musical experience for the uninitiated. The layout allows for the usual standing in front of the stage option for the majority of people attending gigs but the bar & grill feature also provides for those that essentially want a dinner show as well making for a very relaxed atmosphere in the venue as well as a need, at time, to dodge waiters delivering cheese and salsa nachos to tables. 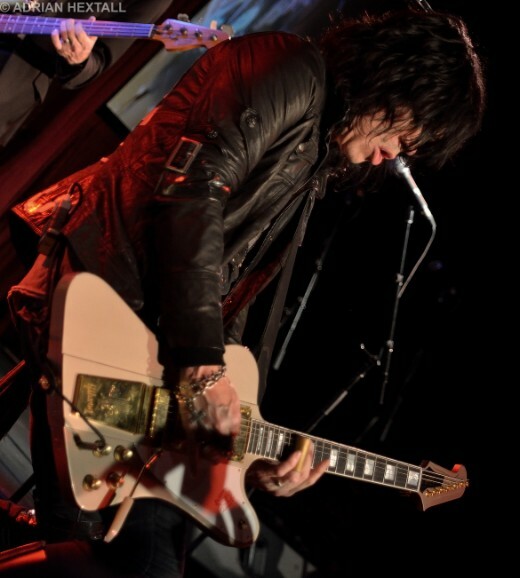 Tonight the venue plays host to former Cinderella frontman Tom Keifer. A new solo album is out and fits the mood of the venue perfectly with its gritty blues led approach with just enough melody added in to keep the old Cinderella faithful happy as well. Before Tom comes to the stage, two support bands play although timing meant I only got to see the second set from newcomers Tempt. Comprised of Zach Allen (vocals), Harrison Marcello (guitars, keyboards, vocals), Zak Gross (bass, vocals), and Jimmi Kane (drums), this New York City-based band reminds me of bands I used to see when I first started going to gigs in the mid 1980’s. 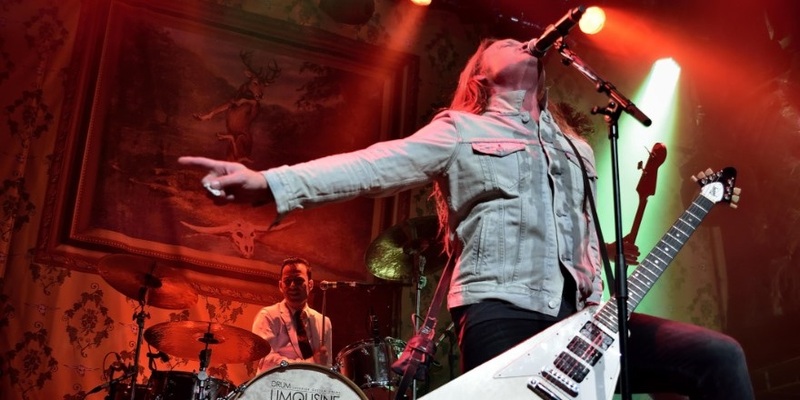 They present some of the best of that era with great harmonic vocals, ‘real’ guitar solos that seem to have disappeared from a lot of modern albums these days and an energetic rhythmn section that drives the sound on every song. Highlights of the set include the anthemic ‘Use It or Lose It’ and ‘Under My Skin’. The latter includes big hooks, great choruses and cannot fail to leave a smile on your face. The crowd certainly warms to them and their is a definite urge for moments of air guitar as you watch Harrison Marcello turn in some excellent solos during their reasonably long set. There are many bands you could compare Tempt to but Zach Allen’s vocals certainly have a likeness to a young Mike Tramp and the harmonies added by the band on the rest of the tracks provide a good match to ‘Pride’ era White Lion. Any fan of melodic and hard rock should definitely check them out as they bring a fresh new energy to the stage. Their début album follows later this year called ‘Under My Skin’ and on the strength of this performance should be an essential purchase. 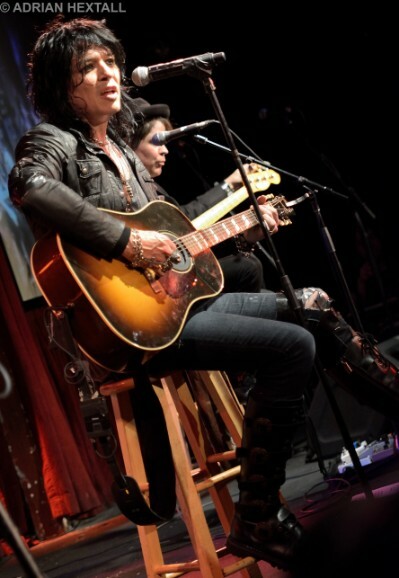 It was beginning to feel like Tom Keifer’s solo album would never come. 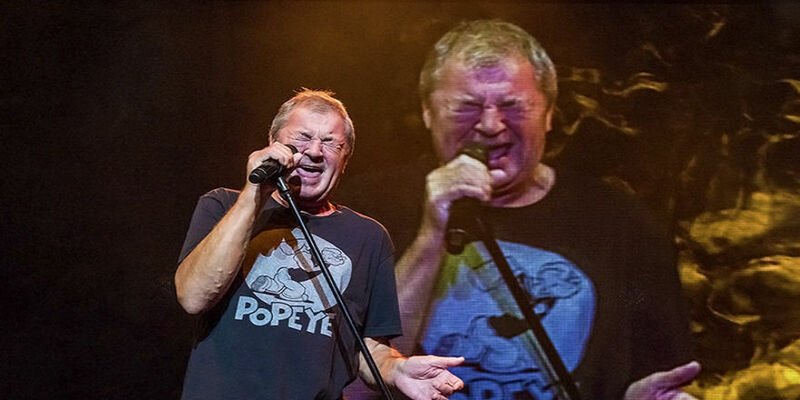 Having successfully led Cinderella through four excellent albums and multiple tours, after the Heartbreak Station tour Tom lost his voice. Several operation later and it was determined that he had nodules on his vocal cords and partial paralysis of the left cord. As such he’s had to essentially start from the beginning again and with successful surgery to remove nodules on his vocal cords he was forced to learn how to sing again because of the paralysis of his left cord. Lesser people would have given up, retired but not this man. Fast forward to 2014 and we now find him with a voice as strong as ever and a critically successful solo album ‘The Way Life Goes’. ‘Night Songs’ opens the set for us and makes me wish I’d managed to see Cinderella in their prime as this is a storming start to the proceedings. ‘It’s Not Enough’ and ‘A Different Light’ follow and sit perfectly side by side with the older material. The gravelly tones of Keifer’s voice and style of the songs definitely suit the venue tonight and the bluesy approach whilst energised also feels casual and relaxed with both band and audience simply able to enjoy themselves. Keifer rarely smiles and I’ve seen reviews suggesting he’s not happy but I think he’s simply focussed and intent on putting on the best show he can. The smiles do appear when wife Savannah comes on stage to duet with him on ‘Don’t Know What You’ve Got (Till It’s Gone)’ and the acoustic approach, sitting on bar stools makes it a wonderful moment for all. As Savannah leaves the stage, the band plug back in and finish the song with a fully charged solo and amped up chorus to rapt applause from the crowd. ‘Nobody’s Fool’ from Cinderella’s début follows and maintains the energy from the end of the previous number. Having taped his mic onto the end of the stand (to avoid it flying off and hitting someone in the crowd) he flings it out over the heads of the front few rows and the faithful sing along to old and new songs word for word. It’s certainly pleasing to see so many people that know his latest material and how well it sits with the older Cinderella tracks. It feels like a natural evolution in style and definitely makes a very lean and youthful looking Keifer seem relevant in today’s modern music scene. The set finishes with a cover of The Beatles ‘With a Little Help From My Friends’ and ‘Gypsy Road’. The former sees Tom’s wife Savannah come back on with another female vocalist and the ensuing performance is easily one of the best renditions of this classic track I’ve ever heard. ‘Gypsy Road’ closes it all off and leaves us wanting more. A great set and very heart warming to see such a talent back out on the road. From the off, the band mix, energy, eccentricity and enthusiasm adding a dash of “ah those crazy Danes” thanks to bassist Stig Pedersen’s wacky outfits and wholly original, 2 string bass guitar designs. But this crowd didn’t come to hear Mr Mogg shoot the breeze, all they wanted was to revel in a band that has produced some of the most memorable rock songs in music history. A robust, We Belong To The Night followed by Fight Night kicks things off in true UFO style. This show was part of The Long Goodbye tour giving the expectation that it could also be the band’s last. Tempt is set for big things. Love the disc. once I got it and been a fan ever since.